This is a barge carrying a crane. There is a small towboat alongside the barge. 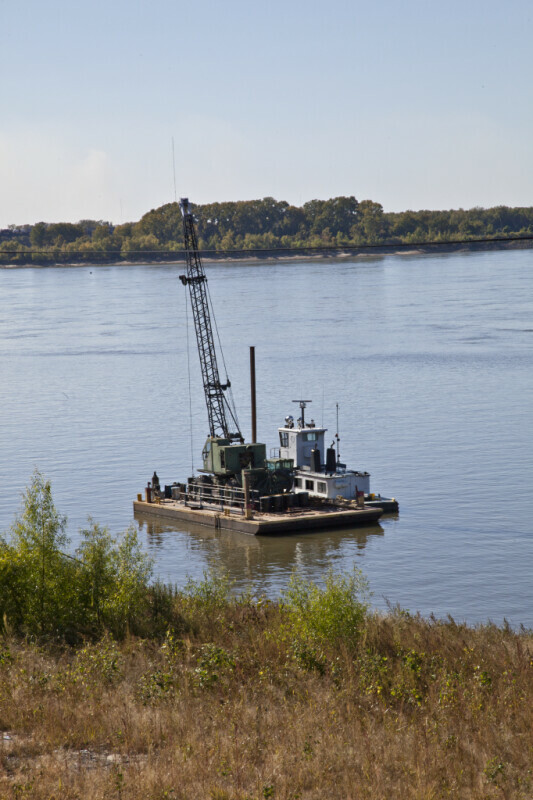 They appear to be anchored at the junction of Wolf River Harbor and the Mississippi River.